Last edited by Iskuss1418 on Sun Oct 22, 2017 4:13 am, edited 2 times in total. KDWD will live in Malekna Forest viewtopic.php?f=154&t=1057. 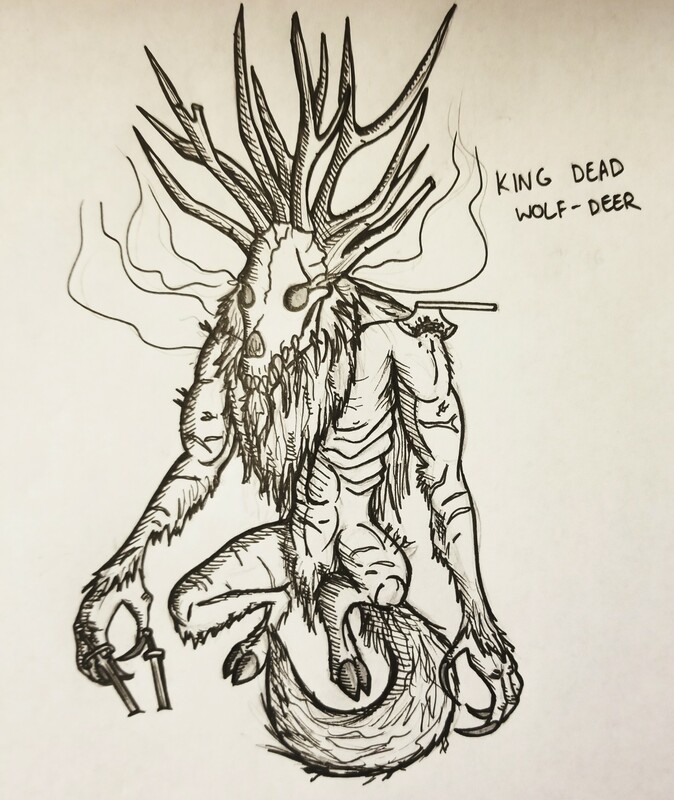 King Dead Wolf-Deer, as a Wild Hunt mer-monster and one of the oldest beings on Tamriel, would likely have demigod-tier power on par with the Tribunal. Last edited by Iskuss1418 on Sun Oct 22, 2017 4:12 am, edited 2 times in total. A part of the Witch-Knight (viewtopic.php?f=155&p=10540) questline is needing to learn something from KDWD. Note: Although the paragraph below uses Miraclestone's words, I only pasted in the parts about KDWD so it's sort of paraphrased. Miraclestone: There is something about the forest that sedates those within it. And maybe this is also why KDWD has stayed there so long, because on a subconscious level it is calming KDWD and keeping it stationary. 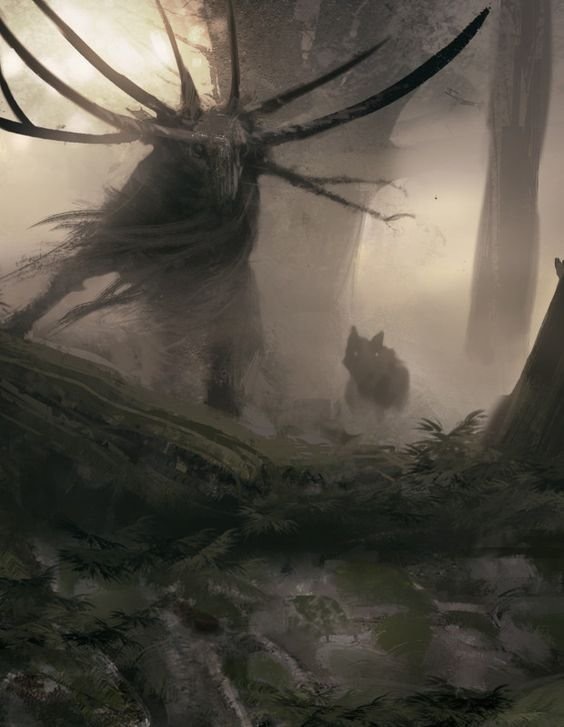 KDWD is still mad/crazied enough to kill anything that comes near it but not driven enough to leave its part of the forest and cause destruction in HR.